John Dory is one of the most striking fish found on our shores. Its enormous mouth, narrow body and spiny dorsal fins give way to a meagre amount of flesh for the size, but that flesh is highly prized thanks to its pearly white, delicate nature. 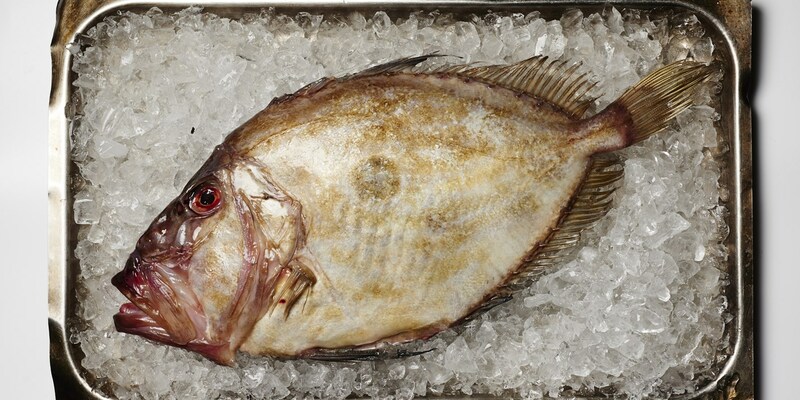 It can take a fair bit of skill and precision to pull off perfectly cooked John Dory, and if you’ve not done it before it’s best to get your fishmonger to fillet it for you due to its unique bodily structure. In France, it is known as St. Pierre's fish. As Saint Peter acted as the gatekeeper of heaven, or 'janitore', it is thought that the fish's unusual name is a result of mishearing this word, though there is a list of varying explanations for the name as long as the fish’s face. Nathan Outlaw serves his John Dory and clam recipe with a mildly spiced sauce - the ideal starter for a chilly Spring day. William Drabble takes a different tact with his John Dory recipe, pairing the delicate fish with Granny Smith, Norfolk cider and mussels. The Galvin brothers serve their John Dory dish with a slightly more earthy twist, pairing the fish with cauliflower, endive and a caper dressing.